Become a Sugar Station® VIP Customer and start enjoying the benefits! 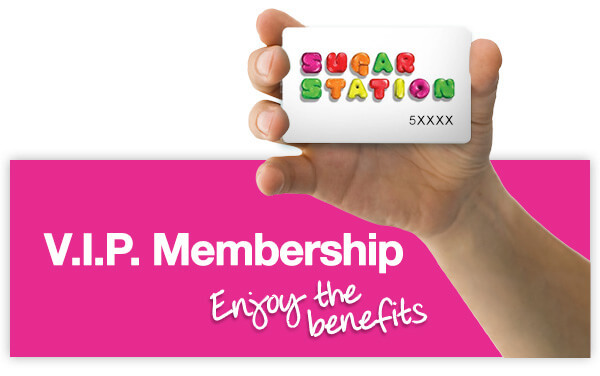 Apply online for your Sugar Station® VIP card. It’s free for candy lovers. occasional Sugar Station emails and initial correspondence.